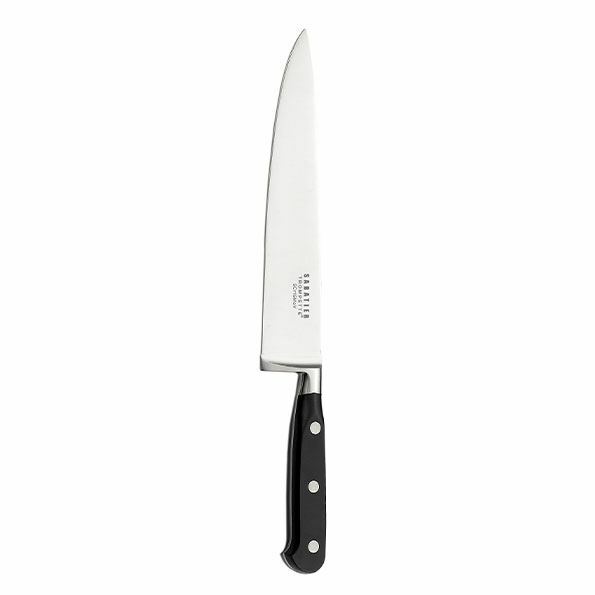 The right knife gets the job done, that's common knowlegde. 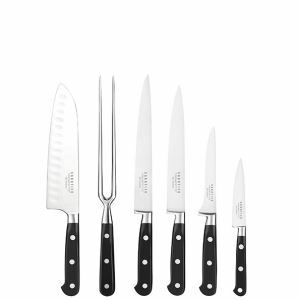 The knives from the Origin pattern are high quality professional chef knives. 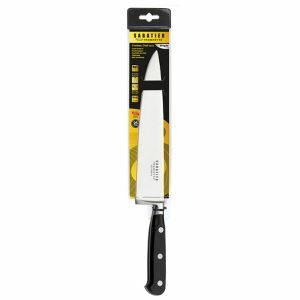 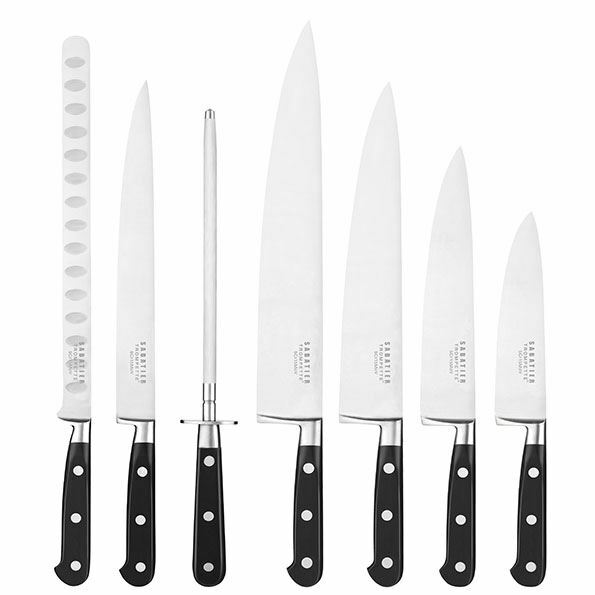 You'll find anything from a paring knife to a chef's knife or a Santoku knife. 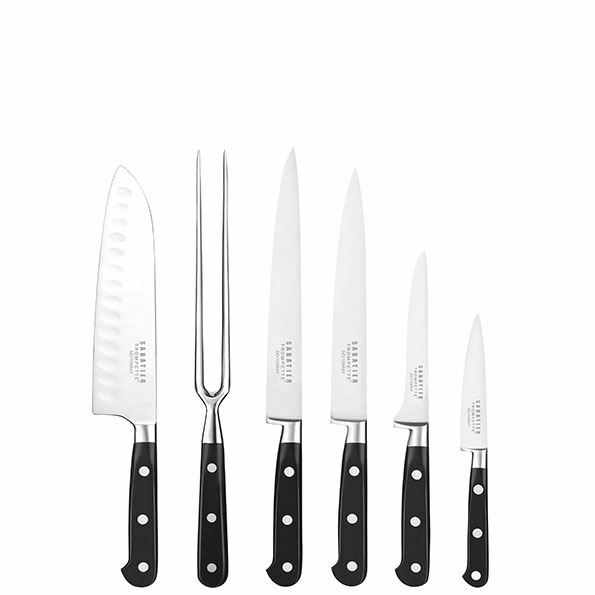 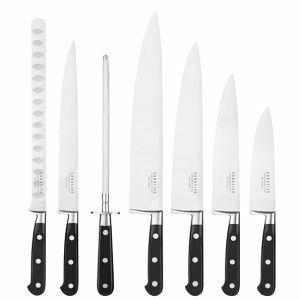 Everything you'll need in your kitchen you'll find in this Sabatier Trompette knife set. 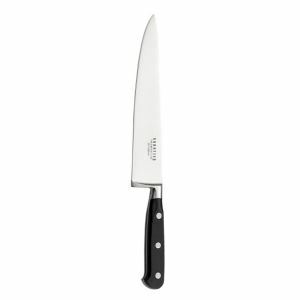 The blade is made of high quality steel, with extra sharpening process for a better cutting edge. 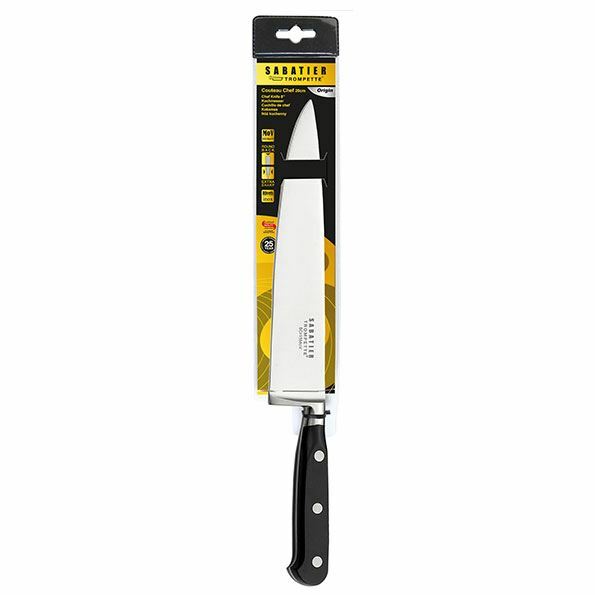 The ABS material used for the handle is dishwasher safe, and assures a nice grip. 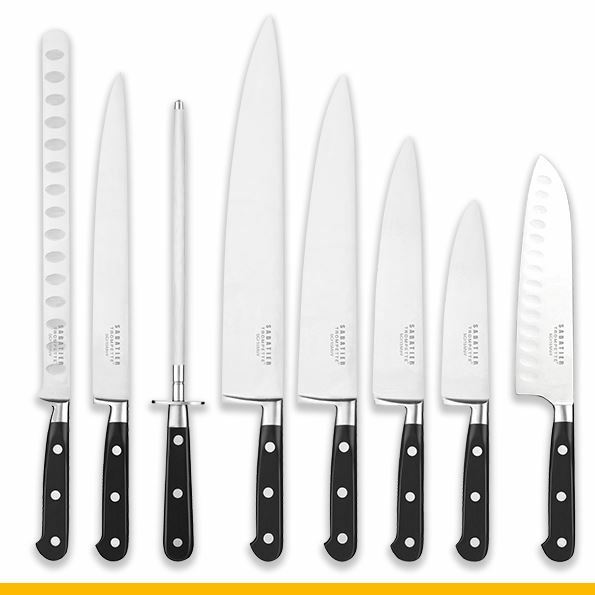 Choose your favorite knives, and enjoy a lifetime of great cooking! 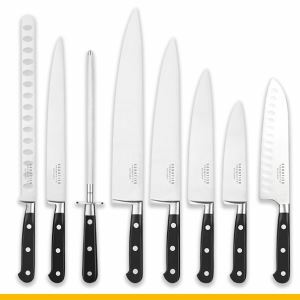 112 Paring knife 131 Chef's knife 10"
011 Carving knife 7" 114 Cook knife 6"
196 Carving knife 8" 180 Cook knife 12"
197 Carving fork 179 Carving knife 10"